Plaything? Art? Boat building practice? It is all of those things to me and more. 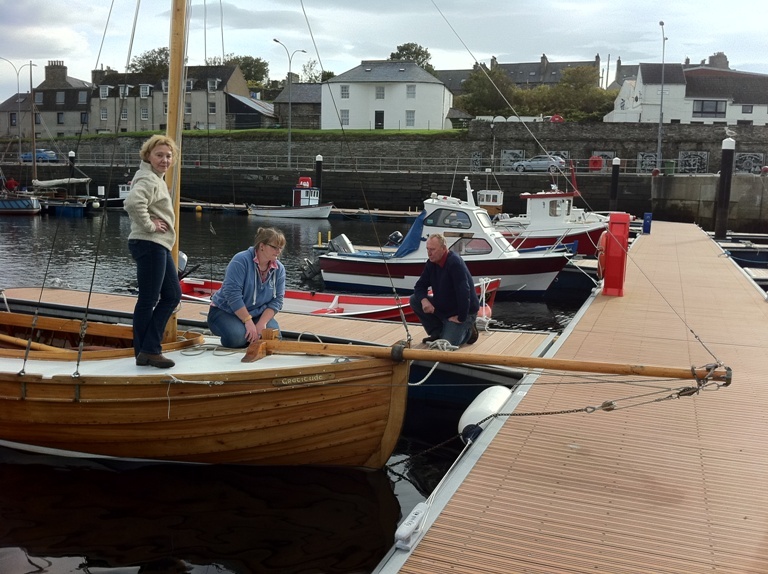 It keeps my hand in sailing as well as providing a beautiful traditionally crafted wooden boat to work on and learn from. I want to use this page to share our experiences with Gratitude. We found Gratitude for sale in Wick. 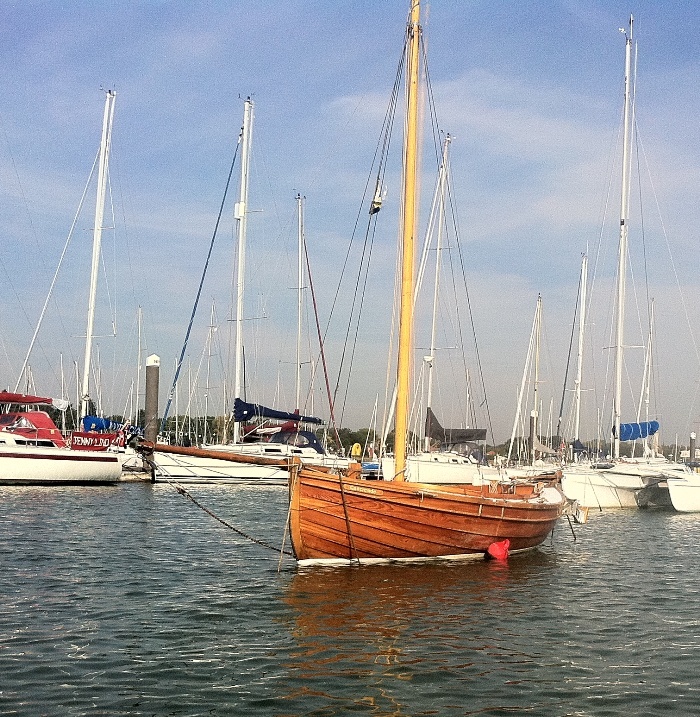 I was looking for a day sailing replacement of our plastic yacht perhaps more traditional and made of wood. 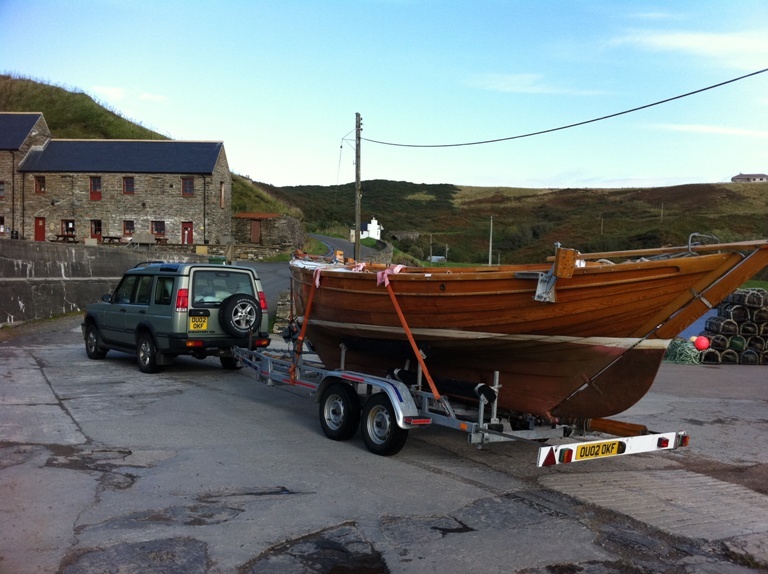 Gratitude looked perfect athough located in the most northerly part of Scotland. Our inspection trip was like a expedition into the wilds of Scotland. It was our first trip to the Highlands and beyond so we took a few days to get up there. Louise and Mano, the boat owners, were great hosts and inviting us to stay with them in their idyllic home in Lybster Harbour about 20 miles south of Wick. 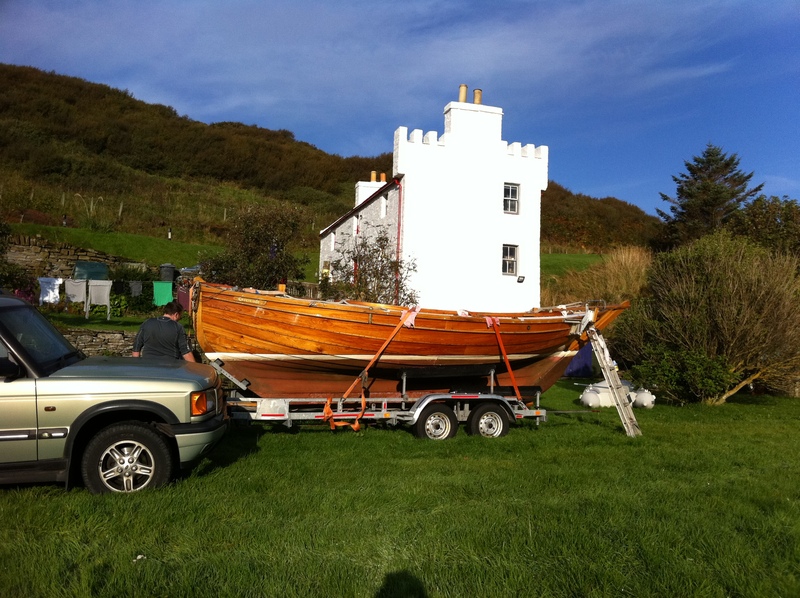 Gratitude is a replica of a traditional Moray Firth Scaffie fishing lugger built in 1997 by Sandy Macdonald of Ardslignish Boats based at Glenborrowdale in Ardnamurcham, Scotland. Clinker built in larch on oak using plans of the original 1896 Gratitude at 80% full size - LOA 20' (6m) 27' with bowsprit, Beam 7' 8" (2.3m), Draft 2' 7" (0.8m). It was a few weeks later, after a successful inspection, my son Mark and I trailered Gratitude to the south of England to her new home in Hampshire. 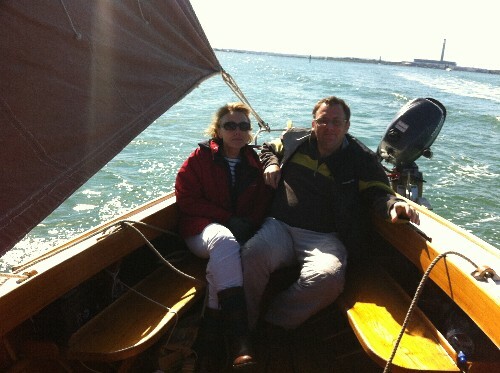 We launched at Deacon's Boatyard on the River Hamble to catch the end of the 2011 season in October ( some would say the season had ended!! ). The sail down the river with an exceptionally high spring tide running, on an unfamiliar boat powered by light winds and a frail outboard, not knowing exactly where our new river mooring was located and assuming this would be completed in daylight hours confirmed our total lack of preparation. Well is was just a simple boat ride down a gentle riverway!!! I will relay the full story of that memorable journey at a later date. 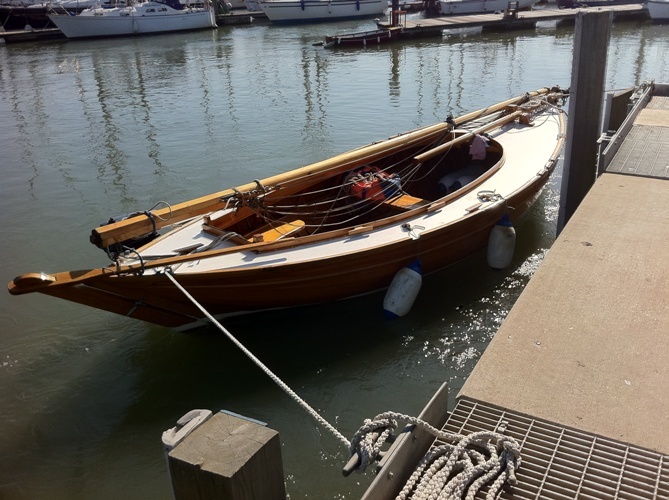 We discovered that wooden clinker built boats do leak and it rains a lot in the winter months ( as well as the summer now ) but the automatic bilge pump worked great except when the battery gets flat. Having a mooring in the middle of the River Hamble did mean that checks were not that frequent and we had great assistance from the Mike, the mooring owner, who did provide a couple of near salvages. This pointed to 2 essentials for the next season - new battery and cockpit cover. 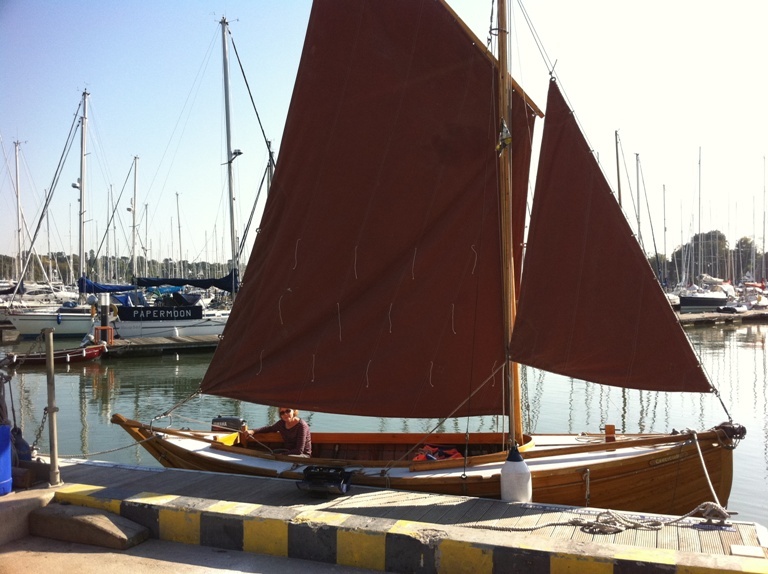 So in that first short season we learned how to sail a lugger ( like a gaff rigged boat but with no lower boom). 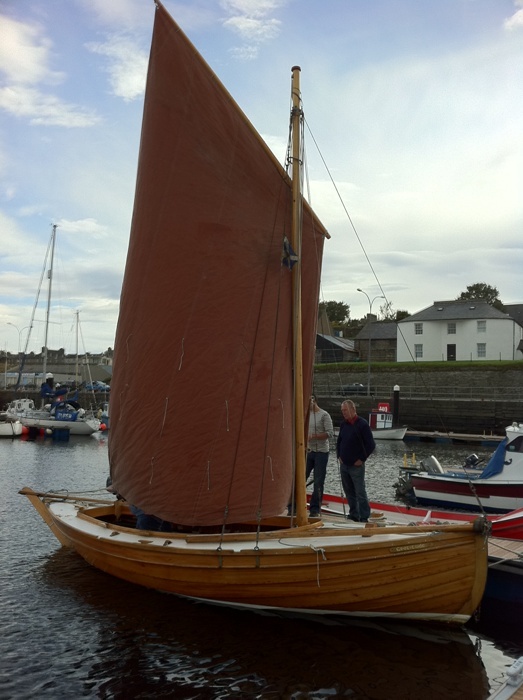 The sails were much smaller than what we were used to so no winches to contend with. The hull shape with the canoe ( pointed) stern created very little wake and she just glided serenely through the water. We did find that our outboard shaft was slightly too short becoming air propelled more often than we liked so a replacement was put on the growing shopping list for next season. We had to build up our confidence in Gratitude's stability. We had been used to fin keeled yachts which never capsize unless sea conditions are really bad and even then you have to try hard to do so. 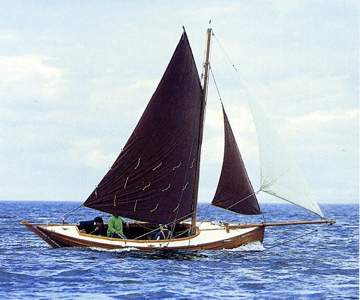 Even with Gratitude's lead ballasted long keel it was an unknown so we did take it easy in that season's few sails. Note that I am experimenting with combining text and gallery on this page so that you can click onto any image and use the mouse wheel or click on arrows to scroll through all the pictures on the page. Give it a try although you may get some interesting results on mobile devices ( unless you have a mouse attached ;-).